Our friends, Serena and Soda from Pretty Fluffy, are on a mission with "The 13 Project", a Pretty Fluffy initiative that involves performing 13 acts of kindness towards animals before 2013. They have thrown out the gauntlet which we are more than happy to accept! 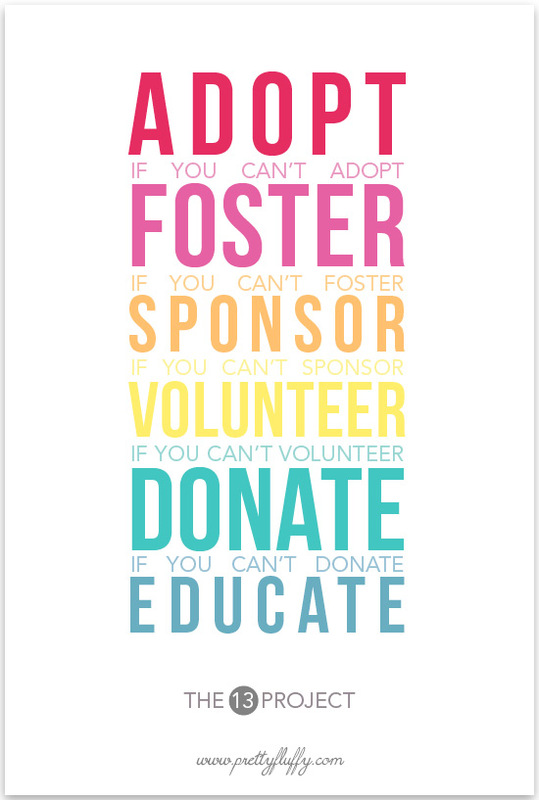 Fostering is something we are compassionate about so this project touched us deeply inspiring us to do even more in our endeavors to help homeless, lonely anipals on their journey to furever homes. Continue to foster one dog at a time in our home. Go through all of our old or unused towels and linens & donate them to our local shelter. 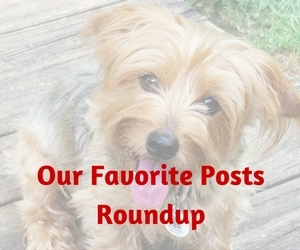 Share and repost a rescue dog’s profile on this blog and Kirby's Facebook Page. Send a letter to my local representative asking them to ban the sale of animals in pet shops. Set up a charity box at my workplace for the local animal shelter. Continue to support ASPCA with a monthly donation. 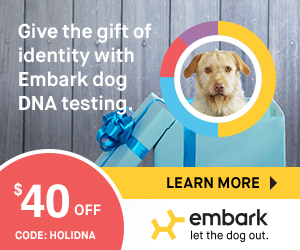 Write about the benefits of pet adoption. Continue to educate about puppy mills and adoption. Remember Lennox in the ongoing fight against BSL. Spread the word of The 13 Project! The idea is to encourage individuals to take part in their own initiatives for the next 13 weeks. I know many of you already help in so many ways so consider this as another way to encourage more people by sharing and pooling ideas of how to help. Maybe someone will list an idea someone hasn't thought of yet. The 13 project is about making a commitment, whether small or large, that we can do before the year ends. Don't have the time or resources for 13 items then choose just one or two things you can do. Every little thing done starts a ripple which can become a waterfall of amazing blessings for anipals pleading for a second chance. So join us! Pick an item on my list or add an item to my list! Just do it because you may not change the world for all animals but you will surely change the world of one animal! !